The Neta Poly Drainage Pipe with Sock Filter is a corrugated drainage pipe of a consistent high quality, and comes in a broad range of sizes and grades. This quality drainage pipe is available slotted or unslotted, with or without a filter sock, to suit a wide range of drainage projects. 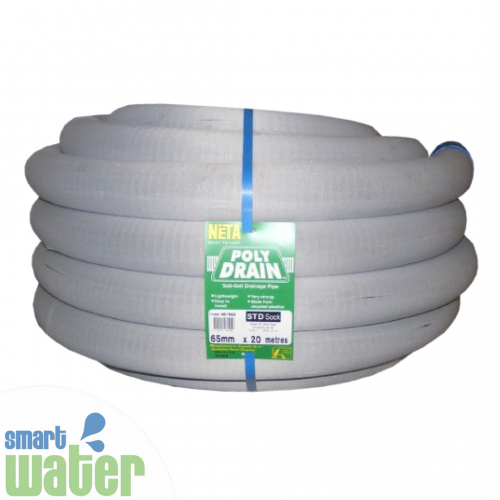 The Filter Sock on the Neta Poly Drain allows for better distribution of water along the length of a system and can be buried without worry of root intrusion.